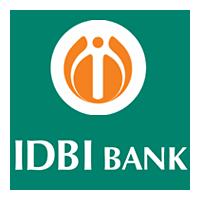 IDBI Bank has released the notification for the post of Specialist Officers for the year 2018 – 2019. IDBI Bank which recently was announced as a Private sector lender with effect from January 21, 2019, and LIC has acquired 51 percent controlling stake in the IDBI Bank. Aspirants who wish to apply for the posts are advised to kindly read the full notification which is explained in the below post before applying. The total number of vacancies available for the IDBI SO recruitment 2019 is 120. The posts which are available for the IDBI Bank SO recruitment 2019 is GM (Grade E), DGM (Grade D). AGM (Grade C) and Manager (Grade B). The Detailed Educational Qualification for all the posts and the experience for the same are available in the detailed notification which is available below. General Manager, Grade ‘E’ In the scale of 36200-1200(11)-49400-1500(6)-58400 (18 years) [Pre-Revised] Total pre-revised emoluments for Grade E at Metro centers is approx. Rs.1.57 Lakh p.m.
Deputy General Manager, Grade ‘D’ In the scale of 33600-1100(9)-43500-1300(8)-53900 (18 years) [Pre-Revised] Total pre-revised emoluments for Grade D at Metro centres is approx. Rs.1.30 Lakh p.m.
time of joining. Further, fitment of pay for new recruits in the cadre will be governed by relevant guidelines and extant Bank’s policies. Selection will be made based on a Preliminary Screening a.k.a Written Examination followed by Group Discussion and Personal Interview. The selection process for all Grades viz ‘B’, ‘C’, ‘D’ and ‘E’ will comprise of preliminary screening based on the eligibility criteria, candidate’s qualifications, suitability/ experience, etc. submitted online. Only such candidates will be called for Group Discussion (GD) and/ or Personal Interview (PI). Selection will be based on marks secured by the candidate in PI. Total marks allotted for PI is 100. The minimum qualifying marks for PI would be 50 for General Category and 45 for SC/ST/OBC/PWD Category. The final selection of candidate is subject to qualification in GD/PI, being sufficiently high in the merit list, being declared medically fit as per the Bank’s fitness of standards and fulfilling the stipulated eligibility criteria as on the cut-off. Note: The GD and PI for Grades ‘B’, ‘C’, ‘D’ and ‘E’ will be held at the Bank’s Corporate Office in Mumbai.